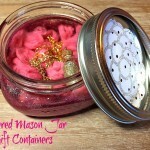 I’m back with another fun way to decorate your mason jars. 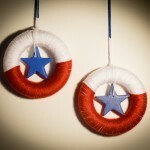 With summer around the corner, I’m all about red, white, and blue in my decorating. 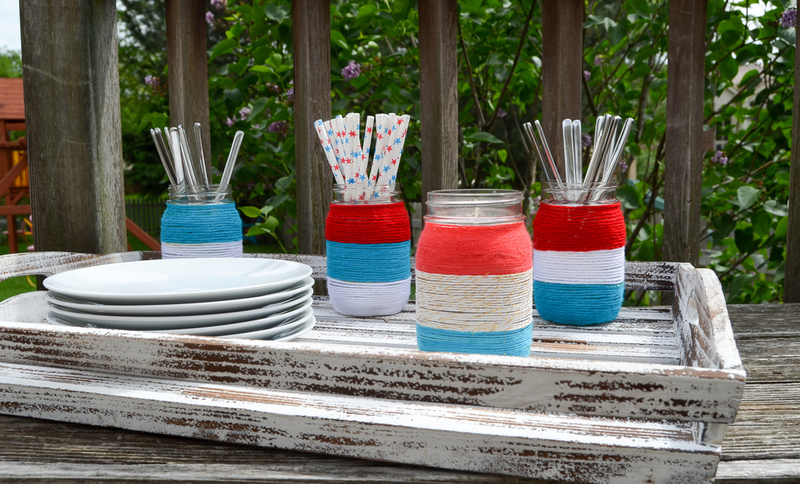 You know how much I love yarn wrapping, so it didn’t take long for these Patriotic Yarn Wrapped Mason Jars to be born! 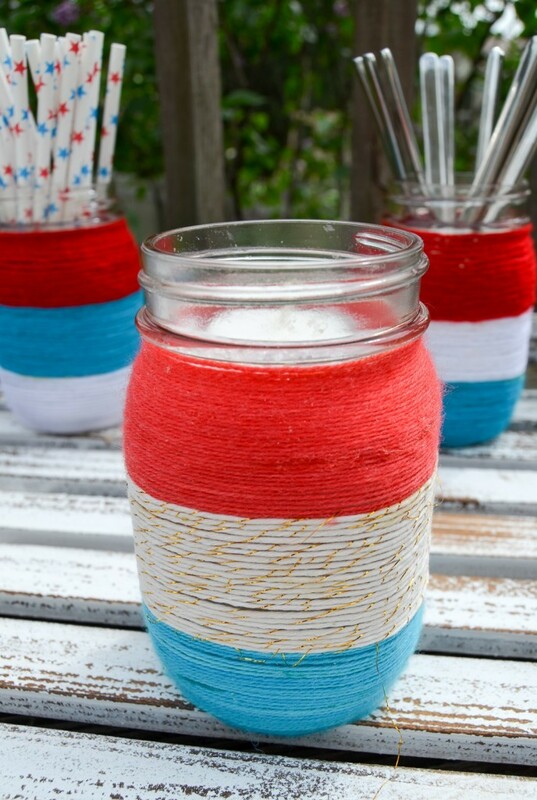 I really wanted a summer version of my yarn wrapped jars. They are so versatile! 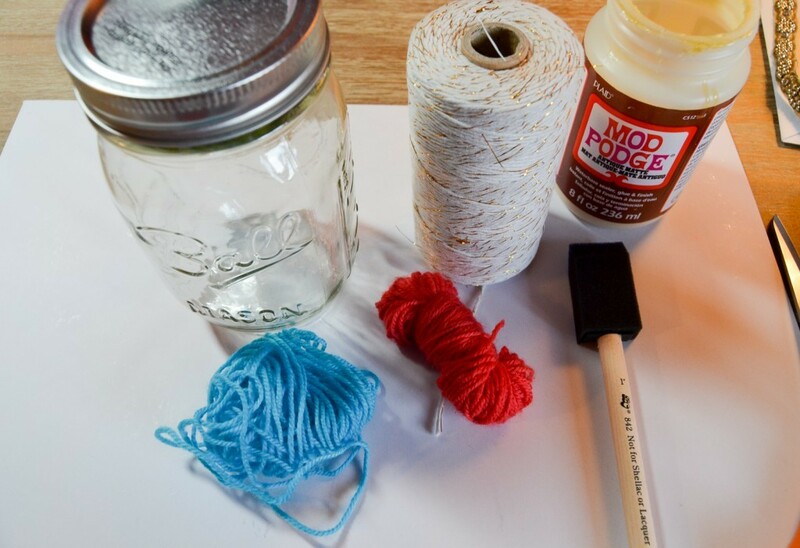 I grabbed my handy dandy Mod Podge, some yarn from my stash, and I was ready to go! 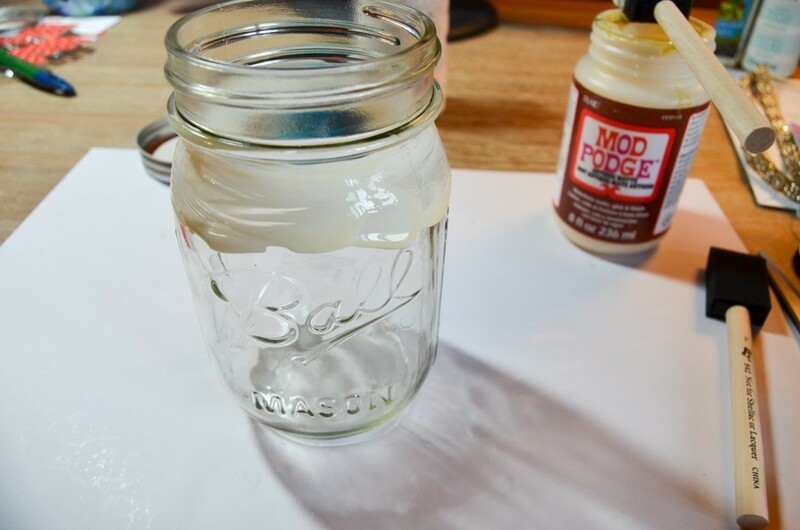 I started by painting some Mod Podge onto the jar. I then started wrapping the first color. I skipped to the bottom color next because I had a limited amount of the blue yarn and wanted to make sure I didn’t run out. 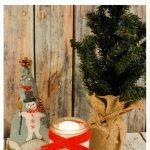 Again, just a bit of Mod Podge and yarn wrapping. 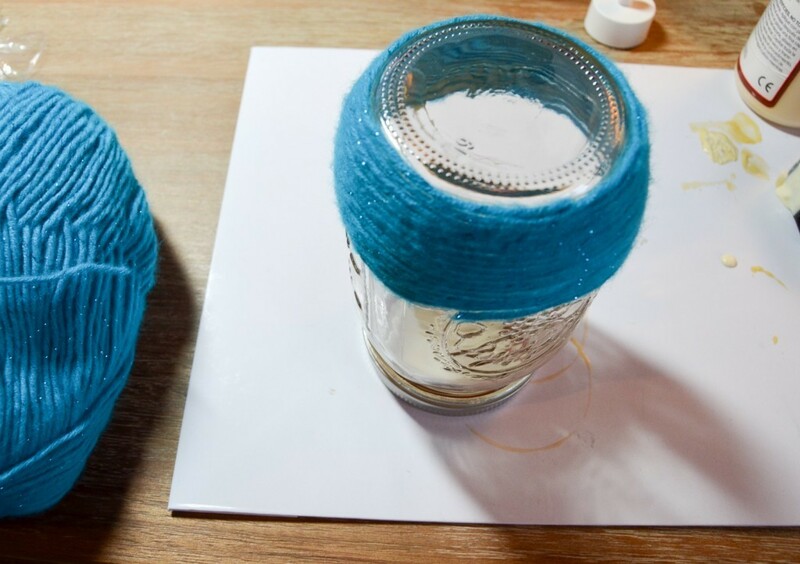 Wrapping the jars is really easy and goes quickly. I finished with some white and gold baker’s twine. This one was fun to wrap. 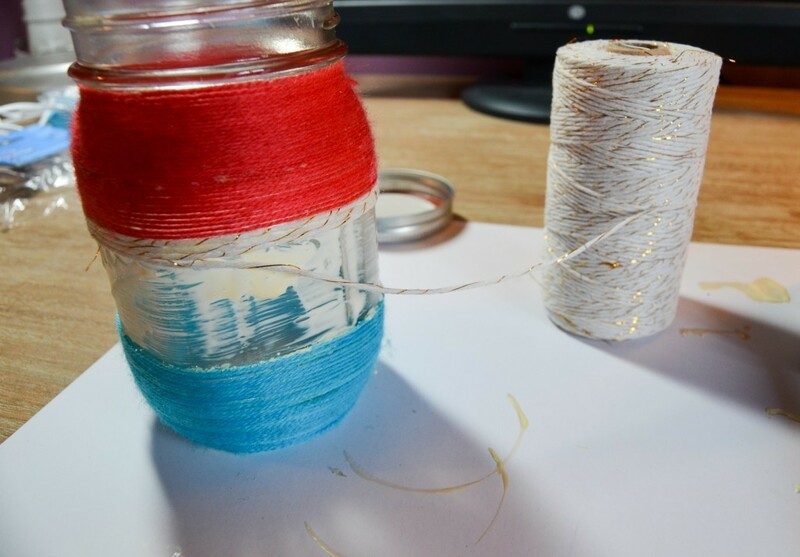 I basically just spun the jar around and guided the twine with my finger. 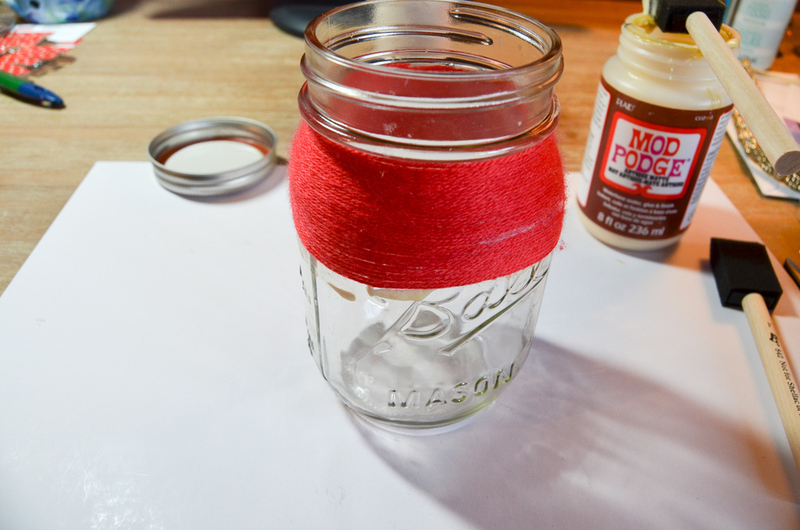 While that jar was drying, I realized that I couldn’t stop with just one. I wanted to make the first one into a candle holder, but with it being outside eating weather, I decided I wanted containers for cutlery, too. 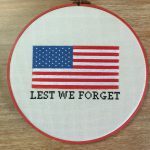 I dug through my stash until I found some more red, white, and blue yarn (I had finished off the bits of the first skeins on the first jar) and started the process again. Three more jars later, and I had a set of Patriotic Yarn Wrapped Mason Jars! I put some scatter in the first jar and placed a tea light on top. For the others, I put in cutlery and straws for an outdoor picnic. These were so much fun to make. 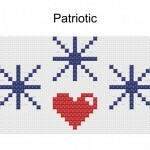 I love the red, white, and blue. 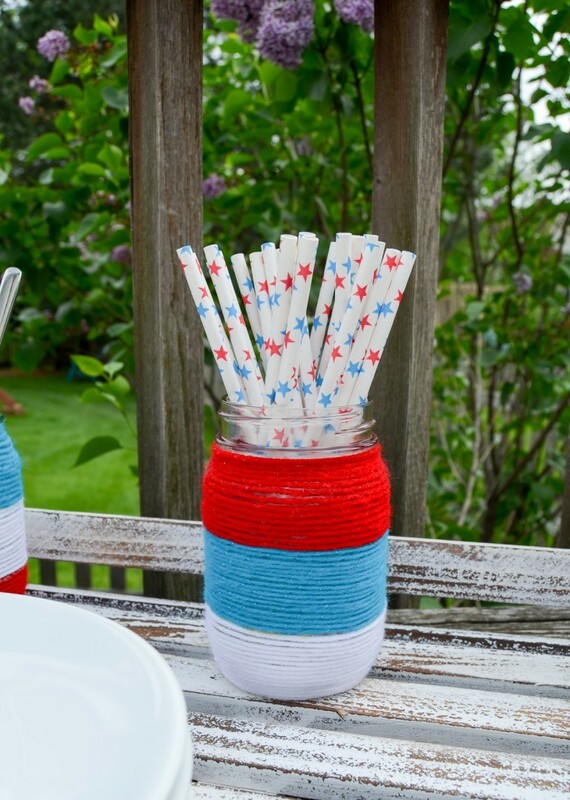 My Patriotic Yarn Wrapped Mason Jars are going to be my go-to containers this summer. 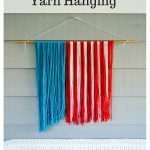 I love this yarn wrap project and it looks pretty easy to make. I’m thinking flower vase. Thanks for the idea. 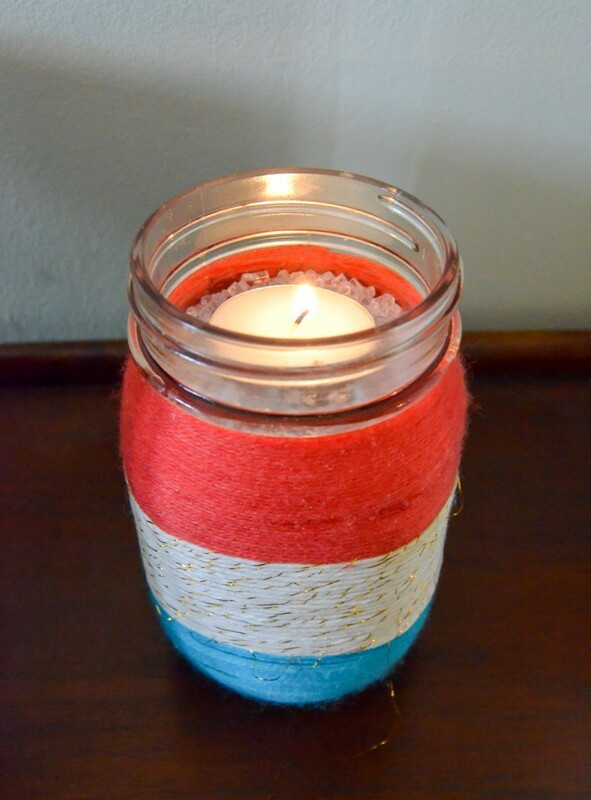 I have made projects similar to this before but never thought to paint it with mod podge first to help keep the yarn in place. That is such a great idea. I love that yarn with the gold sparkle in it too. 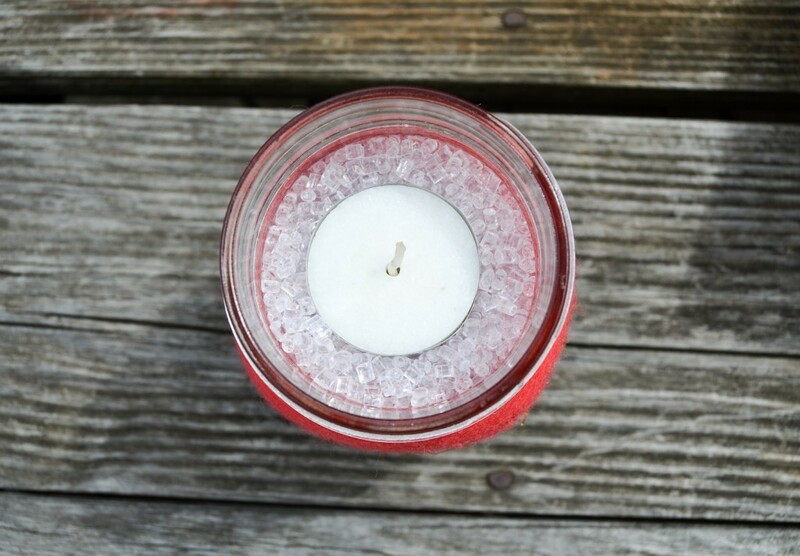 What exactly is the stuff you put in the jar to fill it before placing the tealight candle? 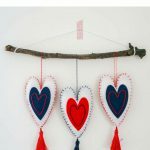 Thank you so much for sharing your creativity at Motivational Monday link party. Have a great weekend! Thank you! It’s scatter that I found in the floral section of JoAnn’s. 🙂 I use it for a lot of vase things. 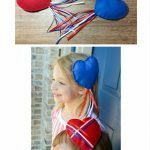 This is such a fun and simple project! 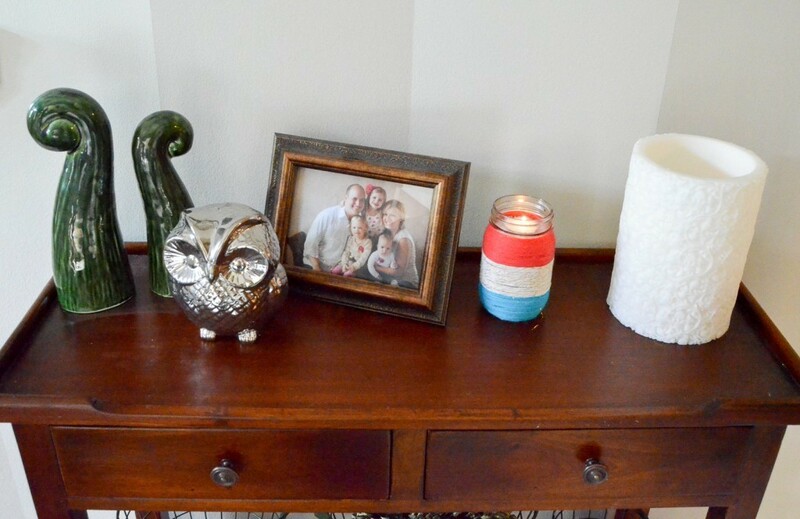 Thank you for linking up at Totally Terrific Tuesday! I am glad to have you at the party! !